Adventwings wrote: Gouf. Custom. Win. I think the grappling hook is a lot more versatile (and posable) than the heat rod from the regular Gouf models. Should make for interesting bonda- I mean, bonding scenes. Personally, I can't think of anymore ideas asides from the ones already thrown around. 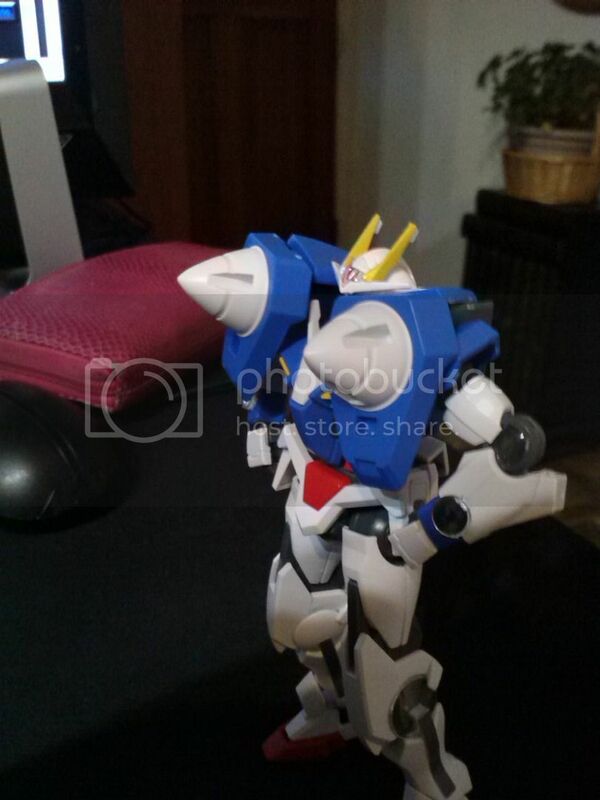 Then again, if you're willing to look at the MG Tieren Ground Type's double-jointed shoulder armor for ideas, I think that's one way to mount the shoulder armor without sacrificing mobility. Yeah, I like this particular rendition of Gouf Custom as well. I needed a badass foreboding look and I think I can pull it off nicely. The shoulders I already have planned to slink lower on the arms similar to how Altlene's upper arm cuffs puff out... only armory and spiky..
2) Should I try and make a headpiece for her? The eye was mentioned before..think anything is possible with what I've got? 3) Hair color will almost definitely change.. any suggestions? 4) Any other bits that might help the look? 2- I think no headpiece makes for a bland figure. 3- I guess she'd look good as a brunette. Maybe light brown. Or maybe someone has a better idea? I'm kinda going off ZeroEdge's work.. so I may be missing some points. BTW, thanks for the other input as well..
You insert polycaps on the epoxy, so it's not so hard that it'll break when you insert the peg. Shiaoran wrote: You insert polycaps on the epoxy, so it's not so hard that it'll break when you insert the peg. Yeah, I keep going back to that page for reference, some of the gundams are more... troubling.... than others. Thanks for the post though, I have it bookmarked now. BTW, I'm still working on this but cant figure out a plastic-like epoxy or clay to use to fill in the gaps and such. The plumbing epoxy turns into a meal like substance.. and wood filler has proven too liquidy out of the package..
Don't go with misc materials, get Tamiya's epoxy clay for modeling. Any kind should do. Thanks for the recommendation. I will check that out.